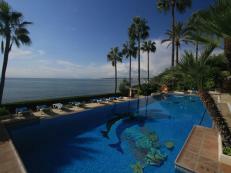 We are also agents for the sale of properties in and around Estepona. We always have a wide range of properties from commercial spaces to residential apartments and villas. Use the search facility above to search for properties for sale, view information about the properties and make an enquiry. 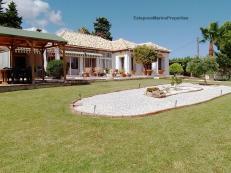 Spain Holiday, beautiful holiday homes in Spain. South east facing luxurious apartment situated in gated development of El Coral, views to North Africa, Gibraltar, Mediterranean coastline and Playa Cristo, close to all amenities. 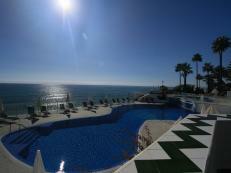 Dominion Beach, secluded and situated 2 km from Estepona, enjoying on average 320 days of sunshine annually. Bright modern new apartment situated on one of the best golf courses on the coast, Valley Romano.